This has been a truly fascinating time in the NBA, hasn’t it? And we don’t mean just because the Denver Nuggets and Milwaukee Bucks have suddenly risen to the top of their conferences. It appears some of its most influential players have figured out they can kidnap the league. They are make threats and demands regarding basic things like, where they want to play, when they want play there and who they want play with. We first witnessed this call to arms back when Lebron James skedaddled to Miami to hang out with Pat Riley, Dwayne Wade and Chris Bosh in 2010. They figured they could win a few championships together. Collusion. Good thinking. Now nine years later, things have totally gotten out of hand, beginning with Kawhi Leonard forcing himself out of San Antonio and Jimmy Butler extorting a deal to Philadelphia from the Memphis Grizzlies. 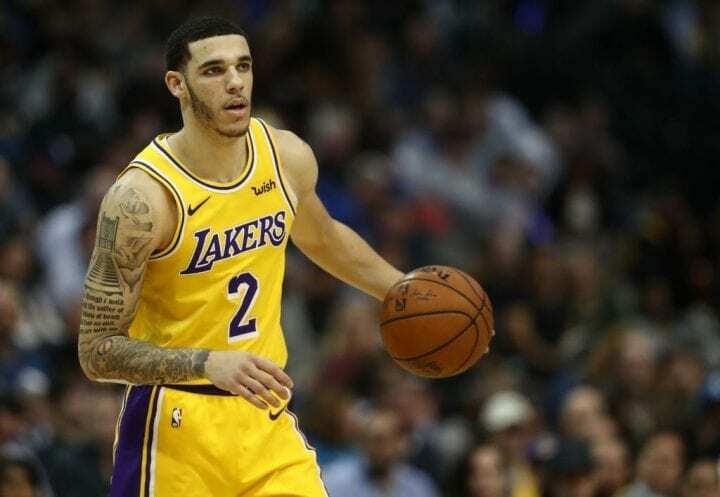 However, the King’s descent into Los Angeles to join the Lakers, where he will also make movies and do whatever else anybody who lives in Hollywood does, has set things up for a number of other conspiratorial moves. 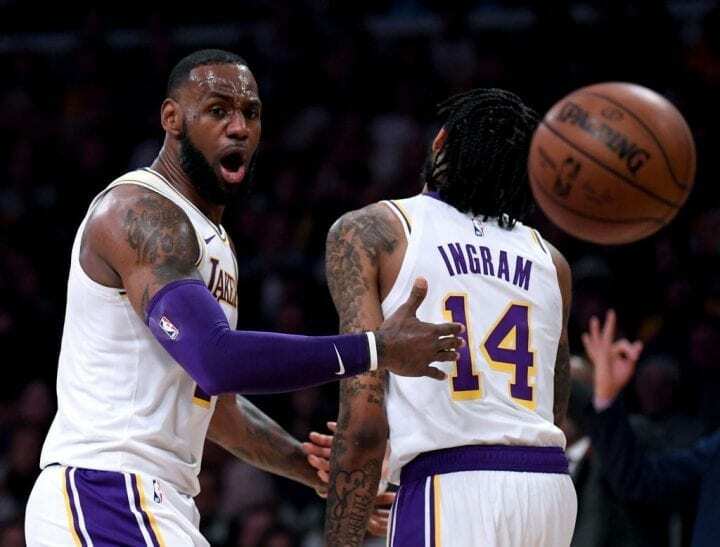 James’ arrival has always been considered the first step in rebuilding the Lakers, an organization that has been insufferably bad the last five years. As transcendent as James is, the feeling is even he’s not capable of taking the team where he wants to be by himself. So the rumors began. 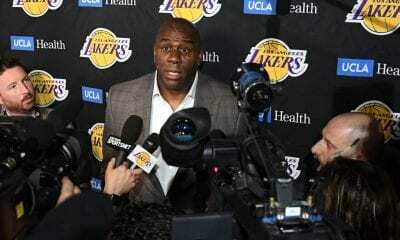 James and team president Magic Johnson would figure out a way, perhaps by speaking code, to lure some of the top free agents over the next two years to join him in the effort to dismantle the two-time defending champion Golden State Warriors. This concept took root last week when center New Orleans center Anthony Davis, a free man in 2020, announced he wanted to be traded as soon as possible and wouldn’t it be delightful if he could be overnighted to the Lakers. By coincidence, James and Davis have the same agent, Rich Paul. 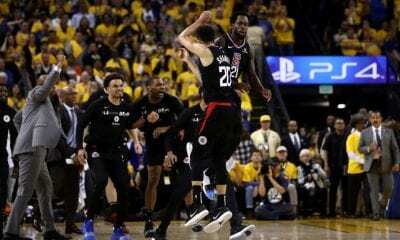 Davis was fined $50,000 by an incredulous NBA for making that sentiment public. So Davis softened his stance by adding the New York Knicks, Milwaukee Bucks and Los Angeles Clippers to the list of teams he’d sign long-term extensions with if traded to. Left unsaid was any other team stupid enough to trade for him could count on him leaving as soon he’s contractually able. That’s a threat in on – or in – any court in this country. Of course, this puts the Pelicans into an untenable situation. What can they possible do but trade Davis, preferably by Thursday’s deadline. It’s unlikely he will ever play another game for them, whether he’s dealt this week or not. What good would keeping a sulking star around do them? Davis is not the only player presumably on the Lakers list. Two of Golden State’s lynchpins, Kevin Durant and Klay Thompson, are free agents after this season. Lakers fans were wooing Thompson last weekend in Oakland and there has always been the assumption James and Durant would love to hook up at some point in their careers. Imagine if James, Davis, Thompson and Durant could help the Lakers figure out how to make it all work financially. Who would be the favorite to win the NBA Championship next season? Next up is Kristaps Porzingis, formerly of the Knicks. He hasn’t played this season because of a knee injury sustained in 2018, but that didn’t stop him from walking into the team’s executive offices last week after a 12th straight home loss and telling them he wanted out. The Knicks immediately complied, shipping him to Dallas. During his introductory press conference in Dallas on Monday, Porzingis was asked, a number of times, why he asked out of New York. Last week, Kyrie Irving, the Boston Celtics guard who will be a free agent at the end of the season, backed away from prior comments indicating he’d likely re-sign. A New Jersey native, Irving used the eve of a Knicks-Celtics game at Madison Square Garden to introduce some intrigue. This has been perceived as a wink to the Knicks that he wouldn’t mind playing for them next season. Durant’s name has also been connected to the Knicks shopping list. Imagine Irving, Durant and perhaps No. 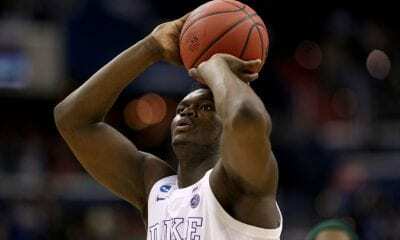 1 draft pick Zion Williamson of Duke at MSG next season. If it appears there’s a hurry to get this all done quickly, it’s because teams – and players – want things to fall into shape before the Class of 2020 hits the market. In comparison to the current crop, that will be a bummer with guys like LaMarcus Aldridge, Draymond Green and DeMar DeRozan possibly available. As long as the NBA allows it stars to handpick where they will play and possibly with whom, there is no incentive for it to end. Unlike the other major sports, one or two superstars together can change the fortunes of a franchise. And the players know it.